Apart from the monosaccharide glucose, other monosaccharides units do exist. 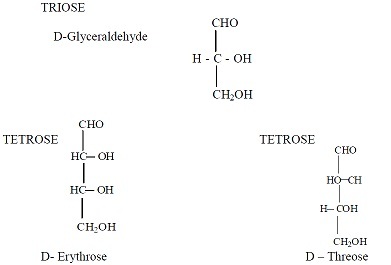 Trioses (3) three carbon containing sugars and Tetroses (4) four carbon containing sugars which are monosaccharides that have only straight chain structures. Monosaccharides having (5) five carbon atoms or more do exist usually in cyclic or ring structures in solution. In such ring structures, the carbonyl group is not free but would form a covalent bond with one of the hydroxyl groups in the chain (intramolecular hemiacetal or hemiketal formation). In this unit you shall study other structures of monosaccharide types and their properties. Monosaccharides containing 3 and 4 carbon atoms usually exist in straight chain forms. They do not form pyran or furan rings. Trioses (3C) sugars and tetroses (4C) sugars are very important monosaccharides. Many derivatives of monosaccharides are constituents of living things. Among the more important are the sugar acids, the amino sugars and the deoxy sugars. Most common compounds of this group are created by oxidation of aldoses to carboxylic acids at either C - 1 aldehyde carbon, C-6 hydroxymethyl carbon, or both. 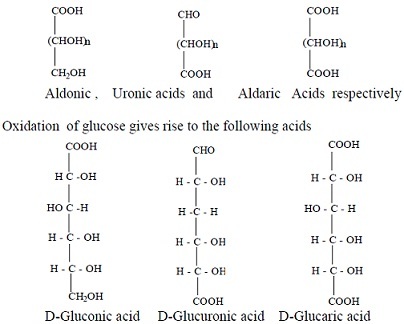 These acids contain generic names aldonic, uronic acid and aldaric acid, respectively and general structures. These sugars comprise compounds with one or more hydroxyl groups on pyranose or furanose rings replaced by hydrogen. Example is 2 - Deoxyribose that is component of repeating unit in polymeric deoxyribonucleic acids (DNA). In these compounds, hydroxyl group on one of the pyranose - ring carbon atoms is replaced by the amino group. These compounds are extensively distributed in plants and animals. 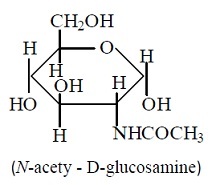 Example of amino sugars are N-acetyl D-glucosamine and N-acetyl D-galactosamine. Isomeric forms of monosaccharides which vary only in their configuration about the hemaicetal or hemketal carbon atom (anomers) contain capability to suffer mutarotation. Mutarotation is phenomenon where α and β anomers of Dglucose interconvert in aqueous solution. Monosaccharides voluntarily decrease oxidizing agents like (Cu2+) cupric ions and hydrogen peroxide (H2O2). Glucose and other sugars capable of decreasing oxidizing agents are known as reducing sugars. Example Benedict's solution that has Cu2+ in alkaline medium is common reagent utilized for detecting reducing sugars by its ability to be converted to brick-red color by reducing sugars. Monosaccharides have the capacity to create acetals or glycosides when glucose solution is exposed to methanol in presence of dilute HCl. Two compounds are created, methyl - β -D- glucopyranoside and methyl- α - D glycopyranoside (Glycosides). Glycosides are not reducing sugars and does not show the phenomenon of mutarotation. Another significant property of monosaccharides is formation of esters. If α - Dglucopyranose is treated with acetic anhydride, all-OH groups turn out to be acetylated to yield penta - O- acetyl glucose. 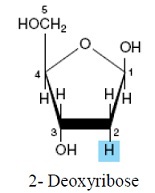 This function is helpful in structural elucidation of sugars as acetyl groups can be hydrolyzed in acid or alkali. One of the most significant kind of ester formation is formation of phosphate esters of carbohydrates. In strong mineral acid such as HCl, pentoses and hexoses are dehydrated to form fufurals and hydroxymethylfurfural compounds respectively. This reaction is utilized in qualitative analysis of carbohydrates. In cold, dilute alkaline solution, glucose creates both mannose and fructose. This interconversion is attributable to enolisation reaction which involves removal of hydrogen from carbon atom adjacent to carbonyl group. 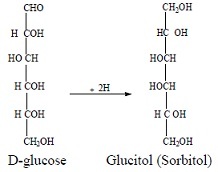 D - glucose can be reduced by hydrogen gas and appropriate metal catalyst to provide glucitol (sorbitol).